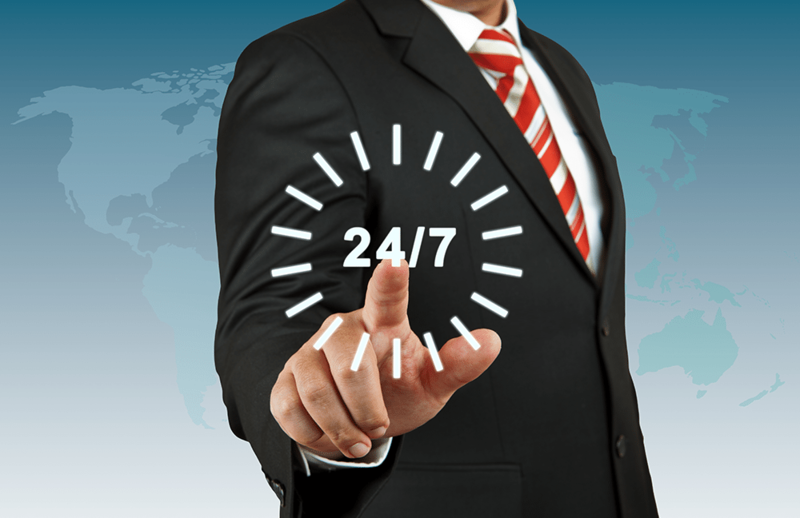 Other businesses are operating 24/7 anyway, with global teams or global customers who require IT systems to be available on demand. For many businesses there is a need to have some level of IT support to maintain productivity and performance; to drive opportunities, leads, and sales; to remain competitive in a global market; and for customer service. Increasingly companies are offering staff more flexible and remote working opportunities and this is creating new demands on IT networks and systems. Remote workers not only need to access company networks during office hours from their own devices, but they may also need to do this out of normal hours. While remote working has been proven to increase productivity, systems failures that are not addressed until the network manager clocks in the following day, prevent employees from getting on with work. While your company may not promote out of hours working, it is highly likely that at times employees will work into the evening or at the weekend. Anyone in senior management knows that taking work home goes with the territory! Similarly, if you have employees who are traveling for business (whether in the UK or overseas) they may require network access out of hours; following meetings, trade events or conferences. Another key reason to provide 24/7 IT support is to add value for your customers. 24/7 support is a key differentiator that could help your business win more contracts, especially if you operate in the tech sector. As IT service providers we know this only too well, but other technology companies can also benefit from ensuing their customers can get support 24/7. Any business that has a global reach – whether that involves employees, customers, or suppliers – will have some degree of IT requirement out of local office hours. Similarly for companies who wish to expand into global markets, getting the right level of IT support is essential to ensure that business critical systems are always up. The impact of system downtime should not be underestimated. Not only can it affect your organisation’s reputation when external parties are unable to access information, for example a client or supplier login, but it can also create recruitment problems. Employees can quickly become disengaged if they struggle to do their job because of IT issues, especially if they are working overtime to complete a project and help the business succeed. Whether you agree or disagree with our 24/7 world it is a reality, may be it’s time to ensure you have the appropriate level of support?